North America has some truly breathtaking natural beauty. Part of that beauty is old growth timber. Over the decades builders used large beams of this wood practically and functionally in projects like warehouses, barns and plants. In other cases logs lie preserved in bogs, lakes and other natural areas. Modern reclamation and milling techniques allow formerly mundane timbers or unusable trees to be reused in a way that brings out their true beauty. 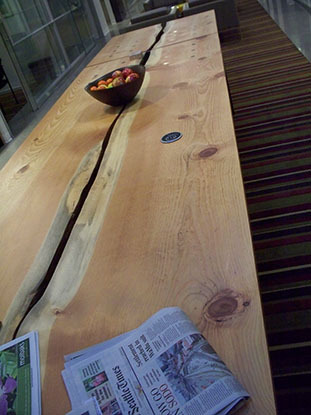 Custom Interiors sees it as a privilege to provide the tools and expertise to work this wood.